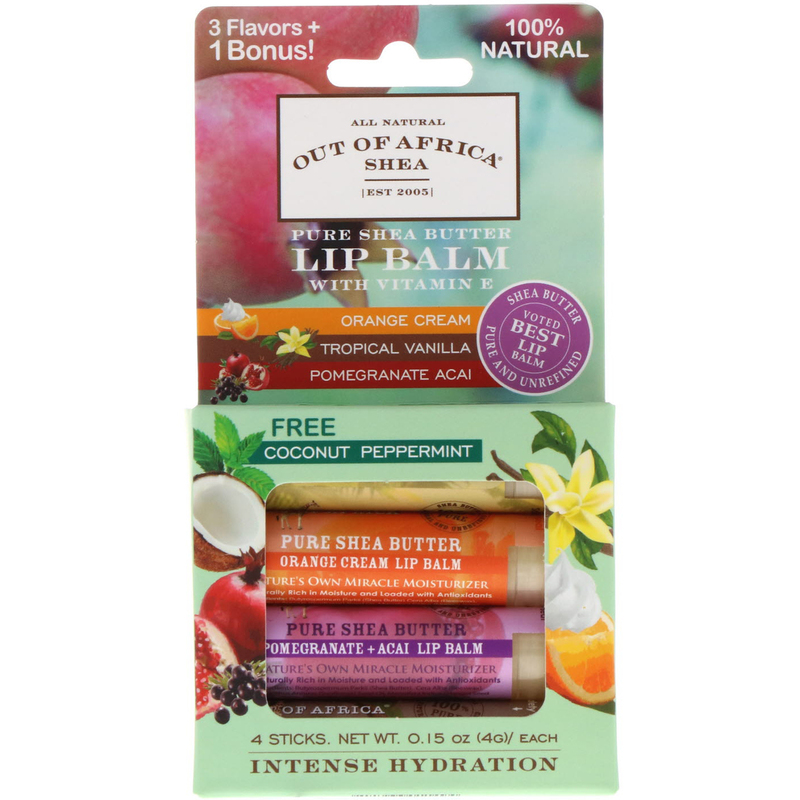 Out of Africa's Amazing Lip Balm is infused with 30% shea butter, where most others only have 1 or 2%. The skin on your lips is very thin and does not produce protective oil on their own to keep them moisturized. This 100% all natural lip balm provides intense moisture and penetrates quickly to provide instant relief for dry, chapped and irritated skin. 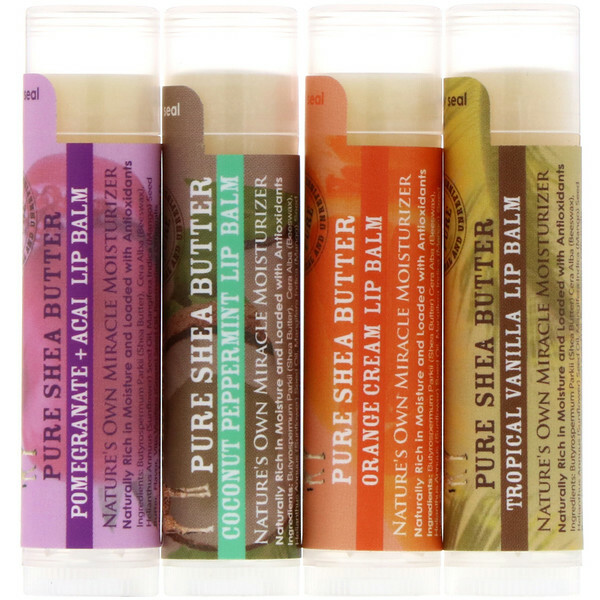 Using the power of shea butter, antioxidants and vitamins it will leave your lips. Butyrospermum parkii fruit (shea butter), cera alba (beeswax), helianthus annuus (sunflower) seed oil, mangifera indica (mango) seed butter, flavor, vitis vinifera (grape) seed oil, rosmarinus officinalis (rosemary) leaf extract, tocopherol (vitamin E), calendula officinalis flower extract, lecithin. Tropical Vanilla Lip Balm: Vanilla planifolia bean oil. Coconut Lip Balm: Coconut-peppermint flavor. Orange Cream Lip Balm: Citrus aurantium dulcis (orange) peel oil. Pomegranate Acai Lip Balm: Frapunica granatum (pomegranate) seed oil, euterpe oleracea fruit (acai berry) extract.